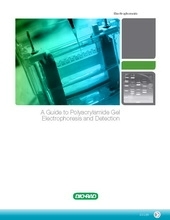 Bio-Rad: A Guide to Polyacrylamide Gel Electrophoresis and Detection is now available for download! 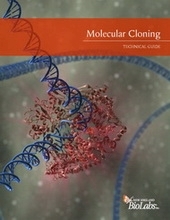 NEB's new Molecular Cloning Technical Guide for help with product selection, protocols, tips for optimization and trouble-shooting is now available for download! 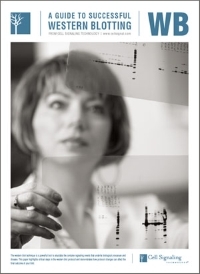 CST's new Guide to Successful Western Blotting is now available for download! This tool will take a DNA sequence and find the large, non-overlapping open reading frames using the E.coli genetic code and the sites for all Type II and commercially available Type III restriction enzymes that cut the sequence just once. By default, only enzymes available from NEB are used, but other sets may be chosen. Just enter your sequence and "submit". Further options will appear with the output. Use this tool to select restriction enzymes by name, sequence, overhang, or type.Sequences should be entered using single letter code nomenclature.In search results, enzymes supplied by NEB are listed first and displayed as links. Cleaving a DNA substrate with two restriction enzymes simultaneously (double digestion) is a common timesaving procedure. Use this tool to select reaction conditions amenable to any two NEB restriction enzymes. This Tm calculator is intended for use in estimating the optimal annealing temperature in PCR reactions. Tm values are calculated using thermodynamic data from Santa Lucia (1998) and the salt correction outlined in Owczarzy et al. (2004). For Phusion DNA polymerases, the thermodynamic data is from Breslauer et al. (1986). This calculator is intended for estimating annealing temperatures for PCR reactions incorporating NEB polymerases. There are already enough variables in PCR, don't let polymerase performance be one of them. Choose from one of the largest selections of polymerases for PCR applications from the leader in enzyme technology and bring unparalleled confidence to your experiments. PhosphoSitePlus® (PSP) is an expert knowledge base of protein post-translational modifications (PTMs) provided by Cell Signaling Technology. This comprehensive, NIH-funded archive contains information on 130,000 non-redundant protein modification sites, including phosphorylation, ubiquitination, and acetylation. PSP offers a wealth of tools for the study of PTMs, such as a modification site search function, substrate sequence logos, and molecular models of modified proteins. The January 2012 Database Issue of Nucleic Acids Research (NAR) includes a full-length, feature article on PSP that describes the content and navigational structure of the PSP open database. This select, annual issue of NAR highlights online database resources that are considered to be of high value to the scientific community. These diagrams have been assembled by Cell Signaling Technology (CST) scientists and outside experts to provide succinct and current overviews of selected signal transduction pathways. Knowledge about each signaling pathway has been synthesized and integrated into understandable paradigms of cellular communication. Copyright © 2012 by Theera Trading.Co.,Ltd. | Created with PhotonFX Easy Website Pro.